Every week I receive messages from people asking about why they cannot seem to enjoy any success with The Law of Attraction no matter how hard they try. This is also a question I often see quoted elsewhere, particularly from people who have watched The Secret which nevertheless has done an outstanding and valuable service in bringing awareness of The Law of Attraction to millions of people. In order to enjoy success in attracting your wishes, needs and desires, maintaining perfect health, healing existing ailments, and generally living a "magical" life requires not only an understanding of how Universal principles work, but also how to apply them effectively. "The Law Of Attraction" is actually a misnomer for reasons discussed in other writings, and is more properly referred to as The Principle Of Expression as discussed in considerable depth in my eBook "The Quantum Matrix" available from the Newsletters option from the main menu. I will however continue to use the words "Law Of Attraction" for this article in the interests of familiarity. This however is only part of the overall equation. The Subconscious Mind is infinitely powerful, instantly responding to the thoughts impressed upon it by the conscious Mind then to externalise them where they can be experienced. However, many people unintentionally, or unconsciously sabotage their efforts by harboring thoughts and emotions which collectively add up to one thing - doubt. Doubt, in and of itself is a powerful Energy which the Subconscious Mind will equally receive and take literally. So even if someone is mechanically going through the processes of manifestation using the Law of Attraction, such as visualisation, repeating affirmations etc., if at the same time they do not "believe" that they already actually have the object of their desires, with perfect "faith", then the message the Subconscious Mind receives is "I do not believe that I have this new home" or whatever it is you wish to attract. In other words your conscious efforts to use The Law of Attraction have been cancelled or at least greatly diluted. It is clear to me from the many messages I receive that many people sabotage their efforts in this way, so why exactly is this? The answer is invariably the same in most cases - programming from a young age. 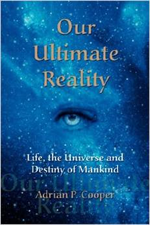 My book, Our Ultimate Reality includes a chapter entitled "The Human Paradox" which discusses this important subject in great detail. Fundamentally however, most people are taught, from a young age, that everything we receive comes as a result of hard physical effort, in other words the need to physically "work" for it. The concept of manifesting and enjoying absolutely anything simply by using the power of the Mind is simply too much for years of conscious programming of "life is hard", and "you need to work for a living", or "nothing comes easily" to overcome. The fact is this - our success in attracting all our wishes, needs and desires effortlessly an naturally is a direct function of the degree to which we realise Divinity within us and the powers of creation that truth realises. The solution therefore is clear. The very first step is to understand, know and feel that we are a channel through which God, The Source, The First Cause, of which we are an inseparable aspect, experiences and thereby expands, and accordingly there is nothing that God will not provide, that we sincerely believe we need in order to facilitate that process. Reaching this deep understanding, knowing and feeling God within as our source of unlimited supply then is the key to unlocking truly unlimited abundance, health and empowered happiness, and must be considered as a pre-requisite to any true, enduring success using the principles of The Law of Attraction..
- why for example does God, without exception or condition, provide us with truly unlimited abundance at will? The answer is actually beautifully simple. All life, including therefore the human being, is an individuated channel of expression of The Source, God, through which God experiences and thereby expands.In order for the Universe to continue to grow, God must continue to experience otherwise stagnation or even contraction would occur, and in a perfect Universe that is unthinkable. 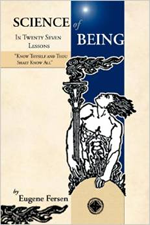 As humans we enjoy complete, absolute freewill - there is truly nothing that we cannot be, do or have for the asking. This must be true because if God sought to influence us in any way, then the "experience" of God would not be unique. As individuated aspects of God we have the unlimited ability to make our own decisions and to experience and thereby to evolve through the process of perfection. As we, as immortal Spirits strive for perfection, our Spirit always longing to travel inwards through ever more glorious states of Being, beyond the comprehension of the conscious Mind of Earthly man, we gain the individuated experiences of countless physical "lives", collectively contributing towards ultimate perfection and expansion both of our Higher Self and ultimately of God, The Source. As we grow as individuals, so too does God. The Universe is perfect. Just as our individual Higher Self is the total of the experience of all of our physical lives and beyond, then likewise God is the total of the experience of all Higher Selves, individuated Spirits blessed with Divine freewill. So God, Divine Providence within us must provide everything that we believe we need for our own progression, without question, condition or influence. If we as a human believe we need a new home, car or a vacation in order to progress, and fulfil our ultimate destiny, then that is precisely what God, Divine Providence Universal Mind will provide, when impressed to do so by our individual Subconscious Mind. As we evolve and perceive the truth about material things, our priorities and therefore requests to Divine Providence change, and that is what evolution is all about - learning through experience. So now we can understand why God, The Source, Divine Providence will provide absolutely anything we can possibly imagine, providing we Believe we receive it with perfect Faith. This is what Jesus meant by "Belief" and "Faith". He did not mean some abstract "belief in God" simply because God needs people to believe in Him/Her, or to have "faith" that God exists because God has an Ego that needs pandering to though "worship", Jesus rather meant Belief in our own true Divinity and Faith in our own powers to realise that Divinity. This means precisely that we are each the living temple of God in the physical world, and through our temple God experiences and thereby expands. The Bible, which, as I have said time and again is in reality a book of initiation, Spiritual Growth and Metaphysics, and not of theology of which it contains not a single word, teaches these important principles time and again. "And seek not ye what ye shall eat, or what ye shall drink, neither be ye of doubtful mind. For all these things do the nations of the world seek after: and your Father knoweth that ye have need of these things. But rather seek ye the kingdom of God; and all these things shall be added unto you. Fear not, little flock; for it is your Father's good pleasure to give you the kingdom". -- Luke 12:29-32. How much clearer can this be? here Jesus is saying that there is no need to look to the material world for your food or drink, or doubt that you need to fight to survive in the physical world. God, The Source, Divine Providence already knows our every wish, need and desire through our thoughts, feelings and emotions. If we seek the Kingdom of God, in other words as manifesting within ourselves, "all things shall be added unto us", in other words we shall receive everything we desire without condition - it is God's good pleasure to give us God's Kingdom - in other words everything God has is also ours. Anyone who truly understands these words for what they really mean will never again doubt their ability to realise anything at all from God without limitation. Here Jesus again, as on numerous other occasions, states the truth that the "Father is within him". But he does not only mean himself - He is stating the truth that God is within us all, a truth that again he repeats time and again. He then goes on to make an extremely important statement: "Father that dwelleth in me, he doeth the works." This is crucial to our understanding on many levels. Jesus is saying here that he alone does not perform the "miracles" attributed to him, but rather God Energy alone, the God that is within us all who does all of these "works" through us as channels of experience of God, through which God, and therefore the Universe expands. Jesus then goes on to say that those who understand this and live their lives accordingly will not only be able to do the same "miracles", but also much greater works. Note: "Belief" does not, in any way whatsoever mean an abstract, blind "belief" in Jesus as a person, it rather means the Belief of our true glorious, Divine Being. Belief in this context is an Energy, not something we are told to do because a doctrine says so. And finally Jesus goes on to affirm the powerful truth that whatever we ask of Divine Providence with Knowing, Believing and with perfect Faith the truth of who we really are, will receive. Again, let me stress - this is not God favouring those who "Believe in Him", this is rather the same relationship as Father or Mother and Child, the parent ensuring that all needs of the child are met in full. Our relationship with God is that of a Child. The Lord's Prayer begins "Our Father" which affirms the truth once and for all that God, The Source, Divine Providence is truly "Our" Father, and that we are all sons and daughters of God, not only Jesus. If this wer not the case he would have opened the Lords prayer with the words "My Father". I should also mention that "Father" does not imply that God is male - again that is strictly a religious assumption, and one that has led to the erroneous belief that males are superior in some way over females which is simply not true. God is pure Energy, neither Male of Female, just as we, in our true Spiritual form, made in the image of God, are pure Energy, and neither "male" or "female". "Gender" is merely a convenience of the physical world for reproductive purposes, nothing more, nothing less. The Higher Self, which is Who we truly are, has experienced many physical lives as both "male" and "female" depending on the lessons that need to be learned in any specific incarnation. Again - how much clearer can it be? Jesus again affirms the truth that whatever we ask for we are given - unconditionally, notwithstanding the character of the person asking. The reason for this as mentioned earlier is that in order for God to experience and thereby expand with out restriction, everything we ask for must and will be given. Divine Providence never judges anyone, because all experience is valid, and all experience that humans perceive through their limited perceptions to be "good" or "evil" is necessary in order to provide balance. Without "Good" there would be no reference for "evil" and vice versa, and one persons "good" is the next persons "evil". "Or what man is there of you, whom if his son ask bread, will he give him a stone? Or if he ask a fish, will he give him a serpent? " Here Jesus is saying that if our child asks for "bread", in other words the means to live, would we, as an Unconditionally Loving parents respond by giving our child a "stone" or something that will not sustain the child". Jesus then goes on to say that if we as parents thus provide for our children, then how much more would God, as the parent of us all, provide for us simply for the asking? So this then is the first step to realising unlimited health, abundance and happiness from the abundance of Divine Providence. Before performing Law of Attraction exercises it is crucial to start with the most fundamental realisation of all - God, The Source within". Know, beyond any possible doubt, and better still feel, that we are an integral, immortal, Unconditionally Loved aspect of God, The Source, Our Divine Creator, through which God experiences and thereby expands and "does his works". As we experience so then too does God, all experience be valuable, adding to the Whole. Know, beyond doubt that in order to experience and expand God has blessed us all with the unconditional freewill to be, have or do anything at all that we capable of imagining, without limit. Know, beyond all doubt, that you are an extension of Source Energy, God, the Universal Mind, and as such you are limited only by your own Belief and faith in those powers. Rejoice in your Divinity and look within for your infinite supply which will then manifest outwards, by Divine Providence, into your own experiential reality, and never the other way around.